Daniel Markey is Adjunct Senior Fellow for India, Pakistan, and South Asia at the distinguished New York think-tank, the Council on Foreign Relations, where he specialises in security and governance issues in South Asia. His 2013 book, No Exit from Pakistan: America's Tortured Relationship with Islamabad, is a must read for everyone puzzled about Washington's continued association with Islamabad despite its many skirmishes with the Pakistani State. Dr Markey, below, left, has also been part of the US government, having held the South Asia portfolio on then Secretary of State Condoleezza Rice's policy planning staff from 2003 to 2007. "This is quite a Christmas Day surprise..." Dr Markey said about Prime Minister Narendra Modi's sudden visit to Lahore when Nikhil Lakshman/Rediff.com requested an interview on Friday evening. As an astute observer of Pakistan, what has changed on the ground in Islamabad and Rawalpindi to enable what appears to be the most dramatic turnaround in India-Pakistan relations in years? I would say the visit was full of drama, but it is too early to ascribe a "dramatic turnaround" to the relationship. Basic sticking points remain, especially with respect to Pakistan's limited action against anti-Indian terrorist groups, and Modi's visit to Afghanistan would -- if not for this surprise visit -- have irritated Pakistan and contributed to tensions. 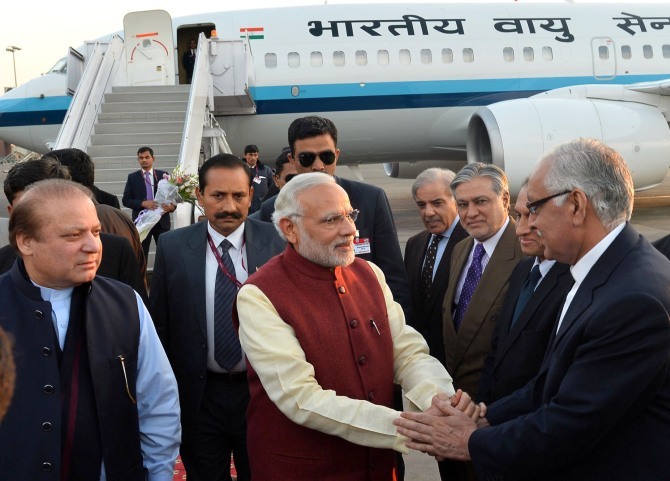 Do you think people are being blinded by the atmospherics -- the sight of seeing an Indian prime minister in Pakistan for the first time in nearly 17 years? Perhaps, but this is a really important sight. Wasn't (then prime minister Atal Bihari) Vajpayee in Islamabad, 2004? In any case, atmospherics matter here because one of the basic questions in Indo-Pak relations has been whether -- if the governments could ever hatch a deal -- their publics would be willing to accept it. Part of making that happen would be through improving the atmospherics with summit diplomacy and other dramatic moves. I don't think we're close to any breakthrough of this sort, but I am also inclined not to discount emotion and public politics here. As China deepens its economic and strategic relations with Pakistan, and makes diplomatic in-roads with Nepal and Myanmar, it is worth examining an issue that continues to mar Sino-Indian relations. The China-India border dispute has long stirred tensions between Beijing and New Delhi, in spite of regular attempts to put the border issue on the backburner. However, provocative incidents continue to occur between Chinese and Indian forces along the vaguely demarcated and often disputed Line of Actual Control (LAC). The latest major such incident between the two sides took place on September 11 near Burtse, situated on the far western end of the roughly 3488 kilometer (3,4883,488km) long LAC, between the Ladakh region of the Indian state of Jammu and Kashmir and Xinjiang province. After receiving information that the Chinese were constructing a hut with a camera, Indian soldiers and border police demolished the structure, in spite of Chinese attempts to push them back. This resulted in a stand-off between the two sides. As it often happens with incidents on the border, the stand-off provoked a small storm of attention from the Indian media, but was downplayed by the Indian government and completely ignored by the Chinese one (Ministry of Foreign Affairs, September 14). Unusually, however, a week after the stand-off had ended a Chinese military spokesperson criticized India for not following border agreements (Ministry of National Defense, September 24). Eventually, the two sides called two “flag meetings” between senior officers, a mechanism for addressing border incidents at five meeting points along the LAC, and resolved the incident (Daily Excelsior, September 15). Both sides agreed to pull out their soldiers and, in what was seen as success for India, abstain from building structures on the disputed LAC. What made the incident significant was its place and timing. The Chinese provocation took place just before the Indian Home Minster, Rajnath Singh, seen as a hawk on the territorial dispute, was scheduled to make a highly-symbolic visit to the disputed border close to the location of the incident. The minister subsequently postponed his visit to later in September (Times of India, September 13). The location of the incident was also interesting because the area around Burtse is of great strategic significance. It is close to both the G219 and G314 highways. The latter of these is better known as the Chinese part of the Karakorum highway, one of the major arteries through which Chinese aid and personnel come to Pakistan. Burtse is also close to India’s small but strategic Daulat Beg Oldi airbase, which New Delhi activated in 2008 to Beijing’s displeasure, and not far from the site of a severe border standoff in 2013 (India Today, August 20, 2013). December 24, 2015: The year ends with Pakistan declaring victory over Islamic terrorists while neighboring India and Afghanistan point out that Pakistan still provides sanctuary for Islamic terrorists that concentrate their attacks on Afghanistan (Afghan Taliban and Haqqani Network) and India (several groups based mainly in the northeast). Pakistan denies providing this sanctuary despite ample evidence. TheAmericans don’t believe Pakistan either and fear that much of the military aid provided to Pakistan for counter-terrorism work is going to end up on the Indian border where Pakistan continues to attack Indian border posts while insisting the Indians shot first. The Americans are so incensed over this that they have added additional conditions and monitoring requirements to future military aid and will, as they have in the past, halt that aid if the Pakistani generals do not comply. Pakistan can depend on the Islamic world to take their side because Pakistan is the only Moslem nation with nukes. That means the UN won’t speak up, especially since Pakistan has China and Russia as allies. Even Pakistani officials (especially retired ones) agree that the Pakistani military has far too much power in the country and still uses Islamic terrorists to cause instability in Afghanistan and India, in part because the Pakistani military needs angry neighbors to justify the disproportionate share of the national wealth the military has long enjoyed. That is major reason efforts to deal with corruption in Pakistan so regularly fail. The most corrupt institution in the country is the military and its ally the ISI (national intelligence/secret police). The power of the military in Pakistan would not be possible without all the corruption. The extent of military/ISI support for compliant (no violence in Pakistan) Islamic terrorists can be seen from rather obvious signs. For example many prominent Islamic clerics can continue to encourage Islamic terrorism and not be arrested. The government will try and curb mass media spreading these incendiary sermons, but those spouting this hate cannot be touched. Nor can the religious schools many radical Islamic clerics run. These schools were supposed to have been “de-radicalized” years ago but that never happened and these hate factories still graduate over 200,000 students a year. Pakistan has also had a difficult time cracking down on Pakistani Sunni Islamic terrorists who attack non-Sunni and non-Christian Pakistanis. At least the government tries, but the Islamic terrorists are supported by more than a fifth of the population and use their numbers to elect politicians who will block or hinder many counter-terrorism efforts. The intense and half-century-old hatred between the tribal and non-tribal populations of this North-Eastern state is coming to a boil. The state could go up in flames very soon. Manipur is, undoubtedly, the most dangerous and strife-torn state in the country today. A 51-year-long insurgency demanding sovereignty from India and a brutal counter-insurgency by security forces that has led to countless deaths, extra-judicial killings and unimaginable human rights violations has torn apart the social fabric of the state. The subsequent spawning of many insurgent groups representing not only the majority Meiteis concentrated in the Imphal Valley that constitutes 10% of the state’s total area, but also groups representing the Nagas, Kukis, Paites, Vaipheis and Hmars, besides the Pangals (the Muslim Meities) have only complicated matters. Add to this ethnic tensions and strife, poor governance, a history of political instability and chicanery, failure of many organs of the state, endemic corruption, widespread drug abuse, lack of job and business opportunities leading to huge unemployment and frustration, and what one has is a surefire recipe for disaster. And disasters—all man-made—have been rocking Manipur for more than five decades now. There are many fault lines in the state today, and the most dangerous one is the divide between the hills (inhabited by the tribals) and the Imphal Valley (inhabited by the Meiteis). It is this divide that could widen into a chasm and tear the state and its people apart in the near future. The Meiteis living in the Imphal Valley and the tribals in the hills have, for the last three decades, had a testy relationship. The Nagas, especially, have long resented what they term as ‘subjugation’ by the Meiteis. The Nagas and other tribes in the hills were subjects of the Meitei kings belonging to the Ningthouja dynasty that has ruled the erstwhile kingdom since 33 CE till it merged with India in September 1949. This merger, or what the Meiteis call the ‘annexation’ of their state, is at the root of Meitei insurgency. 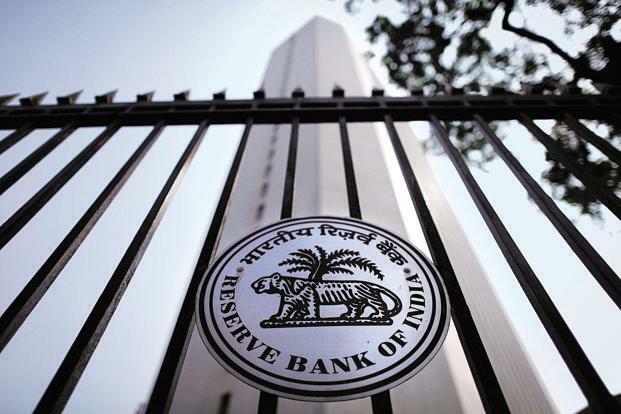 Mumbai: Weak balance sheets of large, debt-heavy companies may pose a risk to financial stability despite recent improvements in some profitability indicators, the Reserve Bank of India (RBI) said in a report. The RBI Financial Stability Report, published on Wednesday, highlighted the fact that nearly a fifth of all listed companies have levels of debt in excess of what is considered prudent. The risks to the Indian banking sector have risen, the report said, as many of these borrowers are saddled with debt that they are finding difficult to service. “Corporate sector vulnerabilities and the impact of their weak balance sheets on the financial system need closer monitoring,” governor Raghuram Rajan wrote in his foreword to the report that is published by the central bank twice a year. It gives an assessment of how Indian banks are withstanding stress and takes stock of developments in the financial sector. The gross non-performing assets (GNPAs) ratio for advances to such large borrowers showed a significant jump but mostly in the case of state-run lenders whose gross NPAs from the segment jumped to 8.1% as of 30 September from 6.1% in March. The share of the top 100 large borrowers in gross NPAs of all banks increased sharply to 3.1% in September, from 0.7% in March. “The sharp increase in the share of NPAs of large borrowers to the total GNPAs from 78.2% in March to 87.4% in September is a major concern to the lending institutions and other stakeholders,” the report said. War Is Extinct, and We Miss It! Part 3: What Is Our Military Future? The future of war is bleak and uncertain, but the future of violence is assured. The worldwide growing gap between rich and poor and the unbearable despair of crossing it ensures desperation everywhere, including America. It is mad to persist in our cycle of tactical victory preceding strategic failure, but it will be difficult to leave this treadmill. We choose our enemies poorly. We demonize regimes when they are not absolutely “with us.” There is often no practical way to depose a regime and we leave no doorway to reconciliation. Instead, we might unilaterally declare an anti-American tin-pot dictator to be “our favorite Red” and thus co-opt his propaganda and acquired authority by our malevolently friendly diplomatic demeanor. American diplomacy, however, has rarely been clever. Secretary of State Madeleine Albright once asked General Colin Powell “What’s the point of having this superb military that you’re always talking about if we can’t use it?”[i] If our military cannot achieve strategic success, it should not be used. A de-centralized movement cannot be kinetically eliminated. We often mistake criminality for a political process and apply military tools to do a policeman’s job. We have also learned that captured territory must be occupied for a long time. Hence, selective dove-ishness can be pragmatic. Our national military strategy (NMS) is only a programming guide. Our actual strategy is determined by the available resources and our funded structure is our only tool for every mission. [ii] We stubbornly maintain a military designed for linear war and are always surprised by the enemy’s chosen battlefield conditions. The Army’s Operating Concept is vague, even for a strategic document, about prioritizing capabilities. Forced to shrink specific capabilities to economize, our military is still trying to prepare to fight anyone, anywhere at any time. It is not the Army that is hollow; we have a hollow national strategy process. In the end, though, it is irrelevant that the Army is not ready to meet the requirements of the NMS because supplemental appropriations will fix everything when necessary. America has not lost any war because of unpreparedness. “Muddling through” is America’s traditional military strategy. More foreign troops died fighting in Helmand than in any other province in Afghanistan but little more than a year after NATO left, the region risks being overrun by the Taliban because of confusion, corruption and mismanagement in Afghan forces. Sangin is the latest Helmand district to slip into Taliban control, badly denting hopes that Afghan security forces would be able to fight on alone after international forces pulled out last year. Sarwar Jan is the commander of a police battalion that has been heavily engaged in Sangin and Marjah, another district mostly in Taliban hands, and he is scathing about Afghan army units he says left his isolated, under-equipped men to fight alone. “We call them up for reinforcement when there is an attack, but they won’t respond. So our forces are like: ‘If they don’t cooperate, why should we help them?’” he said. It is a picture familiar from the disaster in the northern city of Kunduz where last September Taliban fighters drove off demoralized and disorganized security forces and seized the town before pulling out two weeks later. Units in Helmand have been left to fight for months on end with inadequate supplies and reinforcements. Corruption has siphoned off supplies and some units are under-strength because of ghost troops - deserters who are not reported so that officials can pocket their pay. “In one battalion, the official strength is 400 but the actual number is around 150,” said Ataullah Afghan, a member of provincial council in Helmand. “There is intelligence failure, lack of coordination, huge corruption in terms of selling fuel, ghost troops and much else,” he said. Helmand, a longstanding Taliban stronghold and the source of most of the opium that helps fund the movement, has always been difficult to control. On December 13, Turkmenistan, Afghanistan, Pakistan and India broke ground on the constructions of a new natural gas pipeline that will carry Turkmenistani gas eastward toward the other three partner countries (Tribuneindia.com, Tribune.com.pk, December 13; Timesca.com, December 14). The Turkmenistan–Afghanistan–Pakistan–India (TAPI) pipeline project, in one form or another, has been on the books for twenty years, going back to an abortive effort by the Union Oil Company of California (Unocal) and the Taliban in 1995 to formulate it. Given its location and ability to alleviate many critical economic and energy problems in Afghanistan, Pakistan, and India, the TAPI pipeline has been the subject of enormous geopolitical rivalry and maneuvering throughout this period (see EDM, December 14, 2010; February 16, 2011). Inasmuch as this pipeline has received steady political support from the United State because it would enable Turkmenistan to find another alternative to dependence on Russia for exporting its gas, Russia has been very skeptical about the project (“Central Asia, Afghanistan and the New Silk Road Conference Report,” The Jamestown Foundation, November 14, 2011). Yet, in mid-2010, Moscow cautiously came around to ostensibly support as well as promise to cooperate with the founding members on the TAPI project (Central Asia Newswire, October 25). But even then its offer was insufficient. Although Moscow apparently put forward four different possible frameworks for its participation, Ashgabat refused them all (Eurodialogue.eu, November 17, 2010). As a result, Russia is now promoting various alternatives to the TAPI pipeline. These new proposals are clearly aligned with recent developments in Russian foreign policy, specifically efforts to retain India’s friendship and support while increasingly reaching out to Pakistan. In particular, Moscow is offering the two traditional main weapons of its foreign policy—i.e., energy and arms sales. Consequently, in September 2015, Russia proposed building a South–North natural gas pipeline in Pakistan. This Russian pipeline would extend almost 1,100 kilometers, from the port of Karachi northward to Lahore, and carry Iranian gas shipped to Pakistan across the Arabian Sea via liquefied natural gas (LNG) tankers. The entire scheme would reportedly be based on swaps between Iran and Russia for the original gas (Peq.com.pk, December 2; Russia-insider.com, September 9). As such, however, this project directly contradicts the entire logic of the TAPI pipeline as well as the US strategic objective of blocking both Iran and Russia from dominating energy flows to South Asia. At the same time, Moscow is discussing with New Delhi the possibility of exporting 30 billion cubic meters (bcm) a year of gas to India through Iran by means of a swap or, alternatively, by transporting it via the TAPI pipeline (Russia Beyond the Headlines, December 4). Everyone appears to be happy except the affected Madhes groups who are now left to fend for themselves without knowing what had hit them! * The Government declaring its commitment to participation in the State Organs on the basis of proportionate inclusion and the delineation of electoral constituencies on the basis of the population besides ensuring of at least one constituency in each district. * Appropriate constitutional arrangement will be made through political consensus regarding the boundaries of the federal units by addressing the concerns of the agitating parties. * A mechanism will be formed to redress the concerns and a report will be submitted within three months. A solution will be sought through talks on other demands including those related to citizenship. Soon after Kamal Thapa’s call, India issued a formal statement welcoming the developments as positive that will help create the basis for a resolution of the current impasse in Nepal. India also urged all the Nepali political groups to find a satisfactory solution. The issues relating to delineation of electoral constituencies and the inclusive and proportionate participation was already conceded soon after the announcement of the new constitution by the Sushil Koirala led Government. China fear: Real or imaginary? This carefully underlines China’s intention to marshal its journey forward to international politics in a peaceful manner which does not pose a threat to the rise of any other power or to the status quo. But then why there was a need to pronounce its rise in an international forum through an official intellectual of the Chinese Communist Party (CCP). Even then General Secretary Hu Jintao and Premier Wen Jiabao used this term in the same year and they argued for exploring it to be a part of the country’s foreign policy. But in the very next year, Hu, while delivering his speech at the Bo’ao Forum, highlighted about “peace and stability”, “peaceful co-existence” and “peace and security” but not at all about “peaceful rise”, rather the centrality of the theme of his speech was on “peace and development” (hepingyufazhan). Indeed “peace and development” was always at the heart of China’s foreign policy during the days of legendary Deng Xiaoping. However, when the regime passed on from Hu to Xi Jinping, who has popularised the concept of a “China Dream”, it took the world by surprise. He is much discussed as one who is doggedly following the footsteps of Deng. His recent stand on the dispute in the South China Sea has earmarked a more assertive defence of China’s territorial rights. He has also underlined the involvement of outside powers (meaning the US) in the dispute as unwarranted claiming that these islands belong to China for centuries. Even the involvement of any UN effort to mediate the conflicting powers would not be acceptable to China. China’s recent moves, particularly during the reign of Xi has brought much of a fear in the continent, and many Asian neighbours like Japan has already made formal announcements to build up its defence forces and go international. Many of these nations also strongly favour an ever active US presence in the Asia-Pacific region. Russia’s military intervention in Ukraine’s east—directly and by proxy—has saddled Ukraine with a “frozen” conflict in its Donetsk and Luhansk provinces. The parallel situation in Crimea also qualifies as a “frozen conflict,” insofar as Russia’s forcible annexation is not recognized internationally, and in that sense the peninsula has no valid status. These are the latest in the series of conflicts initiated or abetted by Russia against its neighbors, but Western powers have yet to grasp the operating patterns and to respond adequately. The inadequacy of that response begins with the terminology. Thus, the value-neutral, equidistant term “conflict” averts naming Russia (directly or via its protégés) as the aggressor party or occupier of the territory. A conflict “freeze” would suggest a natural, spontaneous process, whereas it might better be described as conflict-conservation, designed to relegate the situation to quasi-oblivion and leaving Russia the winner on the ground. It is a reflection on the inadequacy of the “frozen conflict” stereotype that this and associated terms are accompanied sometimes by semi-apologetic inverted commas. Compared with the predecessor cases, Russia’s conflict undertaking in Ukraine’s east has had by far the most destructive impact in terms of battle theater size, population numbers directly affected (at least four times larger than the populations of Transnistria, Abkhazia, South Ossetia, and Karabakh taken together), numbers of internally displaced persons and refugees (possibly ten times the combined numbers in those predecessor, unresolved cases), high-intensity firepower (heavy artillery, multiple-launcher missile systems), damage to fixed assets in Ukraine’s most heavily industrialized area, and Ukrainian battlefield casualties (approximately 9,000 killed in action within 18 months—a higher casualty rate by comparison with those predecessor cases). Crimea, which had almost faded from the global political agenda following Russia’s ensuing military operations, first in Eastern Ukraine and then in Syria, has again reemerged in the headlines. Despite the Russian occupation, the annexed peninsula continued to receive all its critical goods, services and power from mainland Ukraine, largely uninterrupted until this fall. But on September 20, Crimean Tatars, backed by Ukrainian activists (particularly, those from the Right Sector and other patriotic organizations, as well as volunteers), started blocking food supplies imported from Ukraine to Crimea across a narrow land bridge (see EDM, October 2). Then, four power line pylons supplying the occupied peninsula with electricity were blown up in Ukraine’s Kherson Region, close to the Crimean border, on November 22. Although the activists refused to accept responsibility for the damage, they initially prevented the towers from being repaired (Ukraine Today, November 27). Most recently, Lenur Islyamov, the Crimean Tatars’ actions coordinator, suggested that possible next steps in their campaign against Russia’s annexation of their homeland could include halting gas, water and maritime access to Crimea (Openrussia.org, November 30). While activists said their ultimate goal was to return Crimea to Ukraine, their immediate demand was that Russia free several internationally recognized Ukrainian (pilot Nadiya Savchenko and filmmaker Oleg Sentsov) and Crimean Tatar (Mejlis member Akhtem Chiygoz) political prisoners as well as end political repression on the peninsula (Deutsche Welle—Russian service, September 21). Crimea can cover just about 30 percent of its power needs on its own, while Ukraine had traditionally handled the rest. So since the beginning of the electricity blockade, Russia has intensified laying underwater electricity cables to the peninsula from Russia’s Krasnodar Territory (Northern Caucasus). On December 2, Russian President Vladimir Putin paid a special visit to the peninsula to inaugurate the “energy bridge” across the Kerch Strait (RIA Novosti, December 2). According to Putin, the project’s first phase will reach its full 200-megawatt capacity by early January 2016, and a second phase of identical capacity is scheduled to come online in December of next year. Putin pledged the bridge would be gradually upgraded to meet Crimea’s total demand of 1,100 megawatts (Kerch-most.ru, December 3). As growth slows in mature economies across the developed world, economic inequality has reached new heights. Defined in terms of the shares of disposable income of households across the economic spectrum, adjusted for varying needs, inequality today in the United States is significantly higher than it was a generation ago. The same is true in the United Kingdom, and even less laissez-faire countries, such as Germany and Sweden, have seen inequality increase dramatically. The main reason for the rise in inequality is the explosion in gains accruing to those at the very top of the income distribution. But the circumstances of those at the bottom have contributed, too. According to government calculations, the poverty rate in the United States in 2014 stood some four percentage points higher than it did 40 years earlier. In Germany, poverty, as measured by the EU standard, has risen by nearly half since 2000. Europe as a whole has made little progress in aiding the poor in recent years, despite the EU’s pledge to lift 20 million Europeans out of poverty or social exclusion by 2020. Global leaders have taken note, and they are worried. U.S. President Barack Obama called rising income inequality “the defining challenge of our time,” and Christine Lagarde, the head of the International Monetary Fund, warned of “the dark shadow it casts across the global economy.” But what officials have not said, by and large, is what they would do about it. Many seem to have resigned themselves to an ever-less-equal world. The good news is that present levels of inequality are not inevitable. If governments are serious about tackling inequality—and that is a big if—then there are concrete steps they can take. Some of these actions might be controversial and difficult, and they would create losers as well as winners. But they are the best practical way to make a dent in a frustratingly persistent problem. The standard explanation of rising inequality centers on supply and demand. Forty years ago, the Dutch economist Jan Tinbergen described a race between education, which increases the supply of skilled workers, and technological change, which increases the demand for them. Since demand has grown faster than supply, the premium paid to skilled workers has increased, widening the wage differential between them and their unskilled counterparts. Later, globalization entered the picture, causing jobs for low-educated workers in many places to disappear. The policy prescription that flows from this explanation is for societies to invest more in education and training. Such calls are justified, but there is more to the story. European federalists dismiss these problems as growing pains. The EU is an incredibly ambitious work in progress, they note, one that is rooted in a vision of Europe that challenges deep-seated notions of sovereignty and statehood. Surveying the destruction during World War II, Jean Monnet, considered by many to be a founding father of the EU, wrote, “There will be no peace in Europe if the states are reconstituted on the basis of national sovereignty. . . . The countries of Europe are too small to guarantee their peoples the necessary prosperity and social development. The European states must constitute themselves into a federation.” Monnet’s union would be built through cooperation and common markets and would ultimately resemble a “United States of Europe,” a phrase later embraced by Winston Churchill to describe his own vision of Europe’s best possible future. The question is whether that vision can withstand the blows that have rained down on the EU since the financial crisis began in 2008. Moral Dispute or Cultural Difference? The word “relativism” tends to generate strong reactions. This is odd, given that the word is not generally used with a clear and agreed upon meaning. I want to offer a specific proposal about what it means, with a view to navigating the following “real-world” problem, discussed by Alex Rosenberg here at The Stone in July: What should we do when we face what are often described as irresolvable moral disagreements? It’s possible for two people to live in different moral worlds, in which different moral truths hold. In a disagreement, two parties affirm and deny the same thing; because the parties contradict each other, they cannot both be right; because they cannot both be right, there is something to be resolved between them by figuring out which of them is mistaken; a disagreement remains unresolved so long as both parties continue to think the other is mistaken; it is irresolvable when there is no method by which to resolve it. Are there any such irresolvable disagreements? A moral relativist will most likely argue that moral disputes are irresolvable because moral beliefs are not strictly true or false, because there are no facts in the world that would make them so — no moral facts. Therefore, such “truth” they may be said to have is grounded in subjective elements — states of mind such as our desires and emotions. Since these subjective elements will vary among persons and cultures, they may generate conflicts that no possible appeal to objective facts could ever resolve. Why the president’s foreign policy legacy is hanging in the balance. Has Obama’s foreign policy been a disaster or a triumph? The president during his year-end press conference at the White House Dec. 18, 2015, in Washington, D.C.
As 2015 comes to an end, President Obama’s foreign policy is either crumbling amid disaster or beaming on a victory lap. The case for the latter view: the Iran nuclear deal, the opening to Cuba, the climate accord, the Trans-Pacific Partnership, and the rebuilding of alliances across Asia. The case for the former: the rise of ISIS, the shattering of Iraq and Syria, and the attacks in Paris and San Bernardino. The problem with the president’s list of triumphs is that they’re provisional, while the failures are all too tangible and threatening. The potential for peace, prosperity, and global improvement, arising from his diplomatic achievements, is considerable, even transformative; but the results aren’t yet in—no one can foresee whether Iran will abide by the deal, Cuba will evolve toward democracy, the world’s nations will meet the warming targets, or the TPP will be ratified. By contrast, the Middle East is in flames, a million refugees are flooding into Europe, Americans are fearful, and the prospects for a swift, stable settlement in Syria—military, political, and humanitarian—seem dim. President Obama sees his current poor ratings in polls as stemming from a failure to communicate. Aides say that he plans to spend more time next year explaining his policies and describing what he has been doing both to defeat ISIS abroad and to stop acts of terrorism at home. Messaging is part of Obama’s problem—a puzzling fact, given how eloquently and persuasively he’s gone before the nation to discuss the complexities of race, faith, and gun violence. Maybe it’s because America has been dealing with those issues since its inception, whereas it has only recently confronted foreign terrorists and hasn’t engaged in a serious conversation about their implications. It must have taken him by surprise that the San Bernardino attack, which killed 14 people, spurred fervent demands to ban Muslims’ entry into the country and dramatically raised people’s fear of terrorist attacks, which opinion polls now cite as the American public’s No. 1 concern. Not to trivialize the attack, but these killers were not ISIS agents in the same sense as the gunmen in Paris had been. This husband and wife team, instead, were the classic “lone wolves,” inspired by ISIS but not acting under orders from abroad. The global shift of power centre from the Atlantic to the Asia Pacific in the last decade was a monumental shift of power pregnant with newer strategic possibilities, but without displacing the primacy of the United States as the paramount superpower holding sway over both the Atlantic and the Pacific. In this shift of the global power centre the strategic focus in terms of lead strategic actors came to rest on China, India and Japan, overarched by the strategic predominance of the United States as the Asia Pacific’s non-resident power, but perceived by Asian lead powers as the nett provider of Asia Pacific security. However, in this strategic template there is a glaring oddity in that while all three Asian powers---China, Japan and India--- perceive the United States as the nett provider of security in the now enlarged area of Indo-Pacific Asia, their perceptions of the United States varies considerably. China views the United States as the nett provider of security exclusively in terms of its fears of Japan’s military resurgence. However, Japan and India view the United States as a nett provider of security against the threatening rise of China and the pronounced China Threat. Having laid out the contextual background of the Indo-Pacific security atmospherics, let us now revert to the main theme of the Indo-Pacific Asia balance of power. The term balance of power has many connotations, all of which concentrate on the requirements of balancing the rise of threatening power intent on disturbing the prevailing security and military balance of the region. In Indo-Pacific Asia, the threatening power is decidedly China which has with its sudden switch from ‘soft power; strategies has shifted to ‘hard power’ strategies emboldened by its uninterrupted build-up of naval power to add maritime muscle to its burgeoning military power, making it a power to be reckoned with. With China’s strategic intentions read as not benign, China by its provocative military stance and aggression in the South China Sea has reinforced the prevailing impression that China is fast emerging as the ‘revisionist power’ intent on upsetting or displacing the prevailing balance of power resting on the edifice of the US-based security architecture in the Asia Pacific which has lasted for nearly half a century. Clinton and Trump want Silicon Valley to make it easier for the government to eavesdrop. An NSA gaffe that harmed a leading networking company shows how dangerous that could be. To hear Hillary Clinton tell it, giving law enforcement officials access to encrypted communications represents one of the great national security challenges of our time. Asked about allegations that the terrorists who hit Paris used encrypted communication tools to plan their carnage, Clinton argued that the government needs an easier way of monitoring militants’ communications. Other presidential candidates have been far more blunt in their demands that the private sector make it easier for the government to monitor encrypted communications. “We should be able to penetrate the Internet,” Republican front-runner Donald Trump declared during a national security-focused CNN debate this month. But amid the raging emotions of the current presidential election cycle, a major breach at the U.S. networking giant Juniper Networks has exposed what the candidates have so far refused to acknowledge: Encryption back doors already exist, including an NSA-authored exploit used by Juniper, and pose enormous risks to firms and their clients. Late last week, Juniper announced that it had discovered what it described as two pieces of “unauthorized code” in the operating system of one of its firewalls. The first cleared the way for hackers to log in to a firewall with administrator privileges. Millennials are driving innovation at all levels and in all industries, and they’re seeking out urban life in numbers that distinguish them from all preceding generations. Here’s an easy question: Where do you live? If you named a city, congratulations – you’re playing an active role in one of the most significant changes to modern human society. A migration of this scale will reshape the physical makeup of our existing populations. By 2050, we can expect at least 37 “Mega Cities” with more than 10 million citizens each. For the unprepared city, population shifts of this magnitude undoubtedly pose a challenge. Pre-existing problems within an urban population like overburdened infrastructure and crime can be exacerbated by rapid expansion; indeed, urban geographers have isolated unregulated urban growth as the key determinant for criminality in cities around the world. Gang violence, income inequality, failure of basic services and high rates of greenhouse gas emissions are all issues specifically associated with urban blight, and threaten to overshadow the potential of these cities without careful governance, management and planning. But where there are challenges, there are also unmatched opportunities. In some states, a city can be viewed as a state within a state based on the number of constituents on the census. The influx of citizens will bring influence, and it will be cities – not states or regional governments – that are largely responsible for the development of their populations. In both developing and developed nations, city planners and civic leaders will play a greater role than ever before in shaping what innovation, sustainability and social cohesion in the future look like. Last October, the European Court of Justice struck down the Safe Harbor agreement, a 15-year-old transatlantic arrangement that permitted U.S. companies to transfer data, such as people’s Google-search histories, outside the EU. In invalidating the agreement, the ECJ found that the blurry relationship between private-sector data collection and national security in the United States violates the privacy rights of EU citizens whose data travel overseas. The decision leaves U.S. technology companies with extensive international operations on shaky legal ground. Although some informed American observers anticipated the decision, most were caught flat-footed; some seemed downright bewildered. Myron Brilliant, the executive vice president of the U.S. Chamber of Commerce, said, “It is particularly alarming that this long-standing agreement has been invalidated with no discussion of a transition period or guidance regarding how companies should comply with the law.” Critics of the decision, including U.S. Commerce Secretary Penny Pritzker, argue that it will jeopardize the transatlantic digital economy, costing U.S. firms billions of dollars. Without a new agreement, there is a significant risk that personal data will have to be quarantined within Europe, creating what Eric Schmidt, the executive chair of Alphabet (previously Google), called “per-country Internets.” If that occurred, he continued, it could risk destroying “one of the greatest achievements of humanity.” Critics also charge that the EU is acting unilaterally to protect its businesses against foreign competition, damaging the open, democratic nature of the Internet. The suicide bombers in the Paris attacks used an explosive that is relatively easy to synthesise at home. Chemists, however, are leading an effort to develop sensors to sniff it out. The explosive, called triacetone triperoxide (TATP), is produced by combining chemicals sold in pharmacies and hardware stores. Several research groups across the globe are now developing sensors to detect TATP before it can be detonated. Anyone who could follow a recipe to make a pumpkin pie could follow the recipe to make TATP," says Dr Kenneth Suslick, professor of chemistry at the University of Illinois. That is why terrorists find the chemical so attractive, say experts. Suicide bombers all over the world have used TATP, from Palestinians in the West Bank to the "shoe bomber" Richard Reid. Chemists are seeking to exploit a physical characteristic of TATP known as vapour pressure. This property refers to how readily a compound converts from the solid to the gaseous state. Because TATP has a relatively high vapour pressure, it easily becomes a gas. Therefore, in theory, a suicide bomber wearing a vest containing TATP should emit enough gaseous particles to set off the alarm on a sensor. Dr Suslick's group has developed a handheld scanner that detects TATP and other explosives after they react with a colorimetric sensor array. His work is funded by the US Department of Defense. When gaseous TATP molecules enter the sensor, they encounter a solid acid catalyst. The acid converts TATP back into its constituent parts, acetone and hydrogen peroxide. Hydrogen peroxide, an unstable oxidising agent, then reacts with dye molecules in the sensor, causing them to change colour. By detecting these colour changes, the highly sensitive portable scanner can detect fewer than two parts per billion TATP. A digital surge could potentially drive the terrorist organization into the online equivalent of a remote cave: the so-called Dark Web that is not indexed by mainstream search engines. (TNS) -- The Islamic State is the first terrorist group to control territory in both the digital and physical worlds. It has been particularly effective at using its digital operations to enable its physical ones — most notably, recruiting fighters online to perpetuate attacks such as those in Paris and Beirut, but also undermining its enemies’ morale in Syria and Iraq using social media. In 2014 and early 2015, the Islamic State’s fighters were regularly outnumbered 10 to 1 on the battlefield, yet their online reputations were so inflated that opposing armies were reportedly terrified to face them. Engaging on the digital front is integral to defeating the Islamic State. Its digital operations are so extensive that the multinational coalition against the Islamic State should launch a comprehensive, digital counterinsurgency. Call it a digital surge. Like a military surge, which involves sharp increase in troops and weaponry on the ground, a digital surge would boost the number and scope of initiatives that target each of this enemy’s online tactics. Right now, most analyses of the digital Islamic State go only as far as explaining that it leverages social media platforms. Yet listing apps — Kik, Wickr or Telegram — isn’t illuminating; it’s analogous to saying the Islamic State has fighters in cities such as Mosul, Raqqah or Dair Alzour. Such specificity fails to explain how the group maintains control over its territory, or how it could be deposed. To wage a digital counterinsurgency, we need to understand the structure of this enemy’s digital army. Unlike al-Qaida’s cluster of isolated cells, the Islamic State is centralized. Its hierarchy, in fact, resembles a corporate pyramid: Leaders set its ideological agenda, a managerial layer oversees implementation, and a large body of “employees” does the heavy lifting. With the automation of flight technology, many are questioning the need for pilots in the future. The F-35 Joint Strike Fighter is one such craft that is so advanced, it makes crewing seem obsolete, according to Popular Science. In older jets, the crew is needed to perform manual duties like operate radar, monitor a high-speed data link for plane-to-plane communications and texts from ground troops, or sift through data before firing on targets. In the F-35, there are 8 million lines of software code that make most of those duties obsolete. Combat pilot Capt. Joseph Stenger, among others in the military, sees the plane as the key to America’s continued air superiority. However, it may bring about the end of an iconic American profession. “If another manned fighter comes up, great. If not, that stinks for the next generation,” he told Popular Science. Still, many argue there will always be a need for human pilots. “We will never trust a weapons platform to make life and death decisions,” said Heather Penney, an Air National Guard F-16 fighter pilot who deployed twice to Iraq. For now, unmanned aircraft will continue to be operated with the help of pilots. If the Air Force consists mostly of unmanned aerial vehicles relying on data links, and those links are fried with an electric pulse, then the drone fails. “Then the bad guy doesn’t even need to shoot it down. The effect is the same. They’ve won the air space,” Penney said. Pilots, on the other hand, have missions, and will follow through to completion. Thomas Mahnken is the Jerome E. Levy Chair of Economic Geography and National Security at the U.S. Naval War College and served as Deputy Assistant Secretary of Defense for Policy Planning, giving him a unique perspective into changes in naval warfare. He shared this insight, along with his expectations for the Navy’s future challenges, with The Cipher Brief. The Cipher Brief: How has the use of naval power changed since the end of the Cold War? What adjustments has the U.S. Navy undergone to adapt to these changes? Thomas Mahnken: Surface ships, submarines, and naval aircraft represent large capital investments that are designed to see service for decades. It should, therefore, not be surprising that many of the world’s navies, including the U.S. Navy, still bear the heavy imprint of the Cold War. That is less true of rapidly modernizing navies, such as the Chinese People’s Liberation Army Navy, a large portion of which was launched after the end of the Cold War. One major change relating to naval power that has become increasingly prominent since the end of the Cold War, is the growth and spread of so-called anti-access/area denial (A2/AD) capabilities, which are aimed at blunting the ability of navies to operate close to shore and, increasingly, farther out to sea. The spread of precision-guided munitions, sensors, and command and control capabilities has rendered aircraft (including naval aircraft) and surface ships increasingly vulnerable. As a result, submarines are playing, and will continue to play, an increasingly prominent role in sea power. The U.S. Navy is still addressing the tactical, operational, and strategic implications of its forces becoming increasingly vulnerable due to the increasing A2/AD capabilities among its adversaries. It is exploring ways to defend against anti-access/area denial threats, as well as operational concepts to negate those threats. TCB: What have been the most significant technological developments or innovations in naval power since the Cold War ended? TM: There are several. One of the most prominent has been the growth of unmanned systems, both in the form of unmanned aerial vehicles (UAVs), but also unmanned surface vehicles (USV) and unmanned underwater vehicles (UUVs). In coming years, we will see unmanned systems performing a growing range of missions, such as reconnaissance and targeting. Lucilla: Leave the people their… Emperor Commodus: Illusions? Lucilla: Traditions. Commodus: My father’s war against the barbarians, he said it himself: It achieved nothing, but the people loved him. Lucilla: The people always love victories. Commodus: Why? They didn’t see the battles? What do they care about Germania? Commodus: The Greatness of Rome? Well what is that? The current state of affairs bodes poorly for a democratic republic established on the principle of participatory citizenship. In this light, it is worth considering the intellectual and historical antecedent of the American Constitution, the Roman Republic. Certainly, there are differences between the Roman and American experience, but this article seeks to highlight the similarities between them with regard to the impact of professionalized military. The Founders, all intimately familiar with Livy and Plutarch, viewed the last generation of the Roman Republic as exemplary of both republican virtue and dangerous autocracy. “The English, American, and French Revolutions were all consciously inspired by the example of Rome. We flatter ourselves, in the democracies of the West, if we trace our roots back to Athens alone.”  But our combined cultural heritage, including many “fundamental assumptions about power, citizenship, responsibility, political violence, empire, luxury, beauty, and even humor, is largely Roman.” Our Constitution, with its division of powers and differing terms of office, as well as American symbolism such as the National Mall and the eagle as a symbol of national power, all echo Ancient Rome. Even American Geographic Combatant Commands are similar to the Roman Pro-Consular system.